The new year is here and if you have not yet completed the social media strategy for your business, now is the ideal time to do so. I understand that it can be overwhelming at first, but you’ll truly profit by having one in the long haul. Obviously, some things will be added or modified as the year goes on which means your strategy needs to adapt to changes. Social media itself is probably not going to continue as before for the next 12 months either. Be that as it may, having a definite strategy for your social media right this moment can truly enable you to recognize what needs to accomplish moving forward and choose how you will accomplish it. What is a social media strategy? Do I really need it? To put it plainly, a social media strategy resembles a business plan, but exclusively made for your social media activities. Upon getting started, it’s unlikely that you have a solid idea and you will probably just post whatever goes into your mind that day. You may spend countless hours mindlessly scrolling the timeline, giving the occasional “like” here and there. You may even schedule a couple of posts about your services or products and add a few links back to your site. Being active on social media is already a big thing, but we all know that it can be a huge drain on your time. Here’s where social media strategy comes into place. Rather than aimlessly liking, posting, and retweeting, all your activities on the social media should be carefully planned out and push towards accomplishing your main goals. 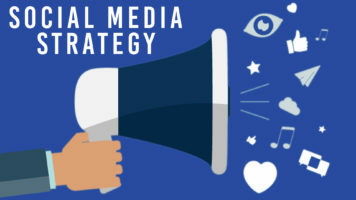 How to create a solid strategy for social media? A social media strategy can be as brief or as detailed as you prefer. However, the more time you spend in your strategy, the more you will get out of it in the long run. There’s no right or wrong way of composing a social media strategy, so do whatever you feel is the most profitable to you and your company. The objectives: The primary task you need to do is decide on your objectives and goals. These should normally fit with your overall marketing plan so that your efforts on social media will help accomplish your comprehensive marketing goals. It can also be profitable to observe your key competitors and ask yourself the same inquiries. This is a decent method to perceive the strong points—as well as the weak points—of your competitors so that you’ll know what to do and what to avoid. 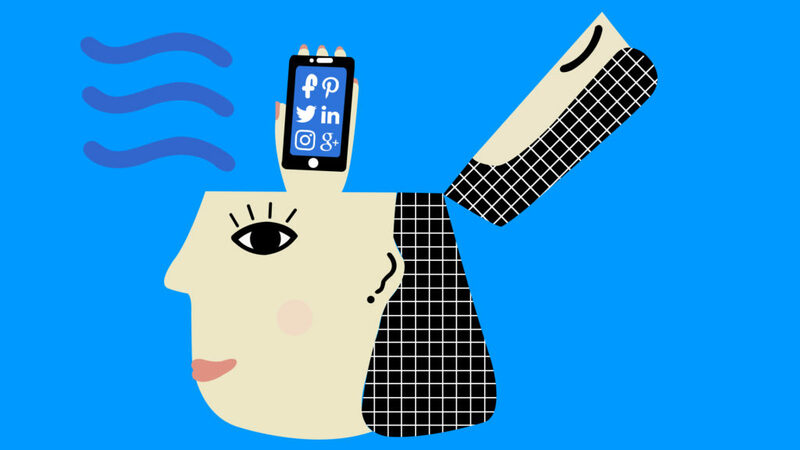 The research: Take a look at your business accounts and consider which social media platforms you need to focus on. Before deciding anything, you should be clear on who your target audience is and the key demographics of different social media platforms. You can also examine which channels your competitors are performing well on. Also, remember that it’s important to focus more on quality, and not just quantity. While there are so many channels to choose from, you may not be able to provide all of them the attention needed, so it may be better for you to prioritize the most important ones. Additionally, it is also important to have your username consistent across all your channels. This way, your audience can easily find you on various social media platforms. The posting details: Consider how frequently you should post on each social media channels and what that content ought to be. Your strategy should also contain essential hashtags that can attract more target audience. Don’t just put in random ones as it can draw in spam accounts that may have a negative effect on your brand. The evaluation: One significant thing to consider is how you’ll measure your progress to see if all your efforts are paying off. In any case, it’s also crucial not to focus on your number of followers and get too caught up in metrics. Despite the fact that you do need to grow your follower count so as to hold a voice, it is more necessary to ensure that your social media efforts truly help to gain brand awareness. When to start planning a social media strategy? It can be beneficial to begin the year with a fresh start and a definite plan of action. If you have been delaying the chance to create a social media strategy for your business, NOW is the right time to start. It does not have to be lengthy and complicated—it just needs to give more direction and centre towards all your future social media activities. Social media is truly disrupting the world of marketing. After all, there are more than 3.8 billion people all over the world who use the internet and that number is still rapidly increasing over time. Of those people, over 2.4 billion of them are active on various social media platforms. · Web Traffic: Who do you want to attract? · Conversions: What conversion rate do you anticipate? · Engagement: How do you want to connect with your potential clients? · Brand improvement: How do you like to position your label or the image of your brand? · Yield: Discover how much your clients pay for your products/services. · Reach: How many new customers and leads would you like to include each month? · Frequency: Check the number of customers buying your products or availing your services. 1. Choose the platforms where you want to invest your time. There are several social media platforms and each of them is unique. Also, not all those platforms function equally for all types of brands. As a social media marketer, you need to learn the essence of your brand along with how people respond to various social media channels. 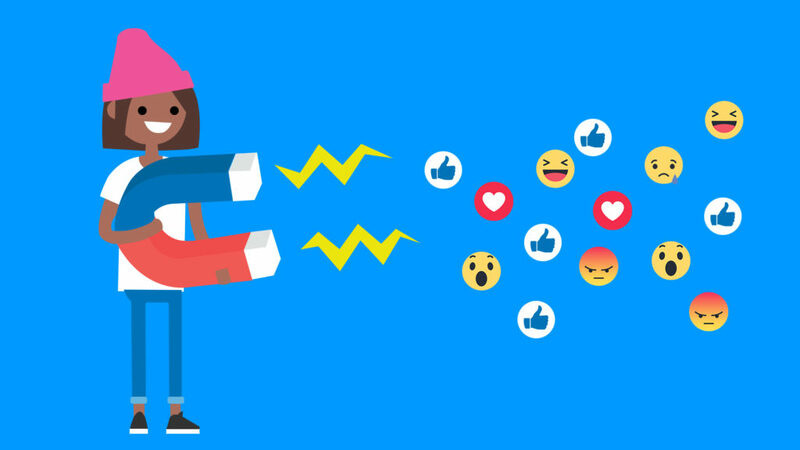 You should determine the best social media platforms beneficial to your brand, and prioritize them in order to get a fair return on investment. 2. Design unique landing pages. Making a good first impression is critical for any brand. All the designs and images on a website help build a positive outlook among potential clients. 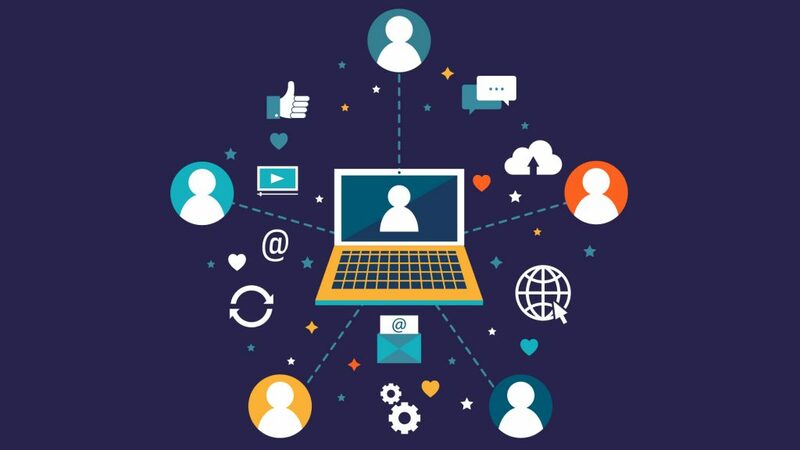 Generate unique and useful information for each of your platforms to achieve a better outcome from your campaigns. By recognizing the essence of different social media platforms, you must produce unique landing pages that can help establish a positive impression, which can then lead to conversion. Social media advertising is entirely diverse from other forms of advertising. Your audience needs to be constantly served with fresh content to keep your brand active on social media. One way of attaining this is by seeking out and sharing popular images, videos, and relevant news to post to your channels. You must also diversify the content to stimulate interest. Lastly, it should always be your goal to position your company as an interactive brand among your potential clients in order to gain more deals. May these tips help you in achieving a strong social media strategy for the new year! Making sure that your brand is well-received in the marketplace is truly important. While it isn’t rocket science to know that services and products that do things very well would commonly have a larger chance of becoming great and well-known brands, it’s quite hard to actually create something worthwhile. So the last thing you’d want to do is waste all your hard work of creating something that matters, just because you have a really lousy customer service. If you have an impressive service or product that actually helps to make people’s lives easier, but your company is somewhat difficult to deal with, then your brand will still suffer in the end. Customers are more empowered than ever, and will happily switch to your competitors if they’re not being assisted and treated as they should. Hiring the right kind of people. Thinking of customer support as the bottom level of your company is the ultimate way to guarantee a bad customer service. Hiring empathetic and enthusiastic employees is the secret way of ensuring that your clients would get what they want. Go for people who have the energy and patience to talk to numerous clients in a calm manner. Always be grateful to your customers. This may sound simple enough, but a bit of humility can go a long way in strengthening a positive brand for your business. Acknowledging the fact that your company would not exist without your customers is a great way of preventing success from going to your head. Making sure that every member of your staff has this kind of attitude is a great way to guarantee this vantage point. Utilize common sense; not just “company policy”. Having a great customer service is more than just saying “have a nice day” and “thanks for shopping with us;” it’s about enabling your employees a certain level of freedom to do what is proper for the customer. Making a blanket “policy” may be an okay starting point, but remember not to impose it with much rigidity. Allow your customer-facing employees make up their own resolution for some customers’ issues, such as with allowing them to replace or refund an obviously broken item. Letting them talk to the customer for as long as it takes just to resolve the issue is also a good thing to do. Truth is, there are some people out there who will try to rip off your company, and may even steal from you. It’s unavoidable that you will leave some money on the table with these type of customers. But to treat each query or complaint as a way of stealing something from you is to paint all customers with the same brush, which honestly isn’t a good thing to do in business. A great service and/or product alone won’t give your brand the acknowledgement and attention it needs. You need to pair it with a top-quality customer service too! After all, your customers are the most important people in keeping your business afloat. Colour can create a certain sense of mood easily that is why you have to carefully choose the palette that you incorporate into your website. Red is easily spotted by the human eye so it could stimulate attention, but it also creates a sense of warning and danger. Pale blue, however, has calming effect . When used effectively, colours can really become a big part of your brand’s signature. If you sell eco-friendly products, then using grey might not be the best choice for your brand logo as grey usually represents gloominess and all that goes with it. Choosing a colour that matches your brand is extremely crucial to relaying the brand’s message. After all, there’s a reason why they call eco-friendly companies, green. In most Asian countries, red symbolizes luck and also to ward off evil. While wearing black to a funeral is considered respectful in some countries, in eastern religions, however, death is portrayed by the colour white. If your brand targets international audience, it’s important to know what colours mean what, so there would be no conflicts or misunderstandings. In case you haven’t noticed, there are a lot of blue logos online. From Facebook to Twitter to Dropbox, the list of companies that uses colour blue in their logos or design is quite astounding. Why, you may ask? Well, aside from being one of the primary colours, blue portrays “technology” and “cool”, which would be appropriate if your brand is within those categories, but remember that just because your brand has an online presence, it doesn’t make your company is an online business. Along with your brand’s name and logo, colour is one of your strongest identifiers. 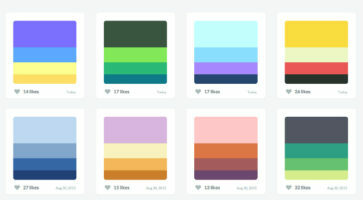 Picking the right hues is one of the first steps in crafting a recognizable brand. So, which colours will you choose for yours? What does a website redesign achieve? We have redesigned many websites for clients that have reported a great increase from their online revenues or online lead generations. We have improved their visitor times (how long someone stays on their site) and also the number of pages they view. But the bottom line is if you want to earn more money from your website (which is clearly why you have one) then you need a professional custom designed site that represents your business in an effective and accurate manner. If your thinking about getting a website redesign but aren’t sure what you should be aiming for or what it entails then either use the contact form here to get some advice or just call us on 0203 823 9033 and we will be happy to discuss and advise you accordingly with no commitments. But my final note is to make sure your website reflects you and your business effectively and make it a positive part of your overall business.